Know Anyone Having a Wedding? 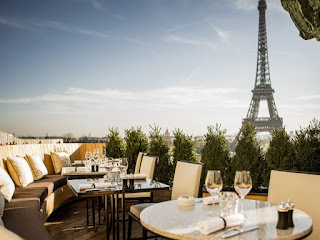 Welcome Global Culinary Escapades Travel Blog! Get travel tips and insight from GCE Travel owner and Certified Travel Consultant including our travel experiences. of Convenience, Flexibility and Pricing. Wedding days are stressful enough without all the complications of moving guests from location, coordinating food service and rentals. Having the basics covered allows you to concentrate on the more meaningless items that make your wedding special and memorable. 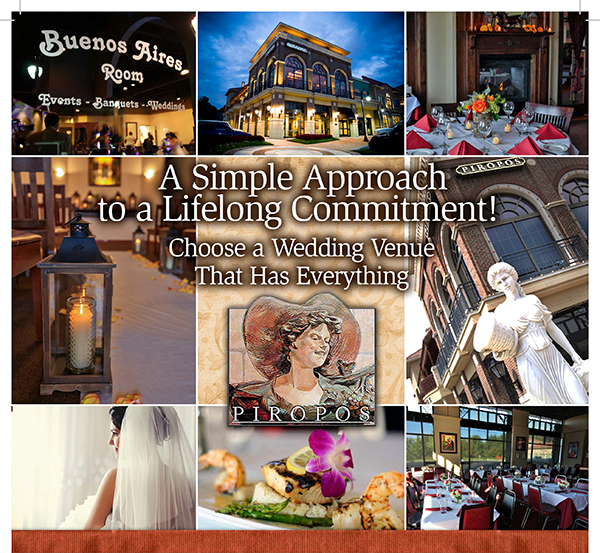 That's why Piropos in Briarcliff Village offers complete packages for 25 to 120 guests that can include rehearsal dinner, wedding ceremony and reception in one wonderful location with outstanding lakeside and downtown views, excellent food and service too! Easy to reach from anywhere in the metropolitan area, only 15 minutes from MCI airport for your out-of-town guests, or escape to a quick honeymoon getaway. Marriott Courtyard is right next door, and we have plenty of parking. It all adds up to stress-free planning and delightful results.